Have you ever imagined that you could make thousands of dollars by working on just a single website? If you haven’t, then I will show you the right way that made me $21,436.75 from a single website called ClixSense. Look at the screenshot of my ClixSense Account which was taken on 28 Aug 2017. As shown in the below image, my account has generated $21,436.55 in just 4 years. I joined ClixSense on November 13, 2013 and so far I’ve been paid $19,368.20 by ClixSense. For the first two years, I only made very few bucks with ClixSense but, my real journey started in 2015 and from then I started making a huge amount of income from it. If you want a good income source to fill your pocket with extra cash or even more then you are at the right place because on this page I am going to teach you how to earn money from Clixsense step-by-step. I will even share my personal ClixSense Strategy, my payment proofs, and ClixSense tricks that made me thousands of dollars. You will also find a very accurate ClixSense Review 2018 on this page. Why Choose ClixSense to Earn? ClixSense is owned by a very trusted company from United States. It is paying since 2007 without missing even a single payment. And it has paid over $27 million to its members so far. 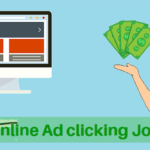 You will not find a better website than ClixSene to earn money online without any investment. There is no limit on the amount you can earn from ClixSense. Continue reading to know more and find ClixSense Review. ClixSense is a get-paid-to(GPT) site which pays its members for performing Online Surveys, Offers, Tasks and more. ClixSense was launched in 2007 as a complete PTC site but slowly it transformed into a complete GPT site. So far ClixSene has paid over $27.9 Million to it’s members since last 10 years. ClixSense is a very popular website and according to Alexa, it ranks one among top 5000 websites in the world. It never missed a payment and always paid to all of its members in time. Yes, of course, ClixSense is 100% safe. Its been paying since 2007 without missing even a single payment and it will continue to pay for years to come because ClixSense is a highly profitable business. ClixSense has gained lots of trust over the years and you will never find even a single complaint about it anywhere. If you found anything bad about ClixSense or if you have any complaints about it then you can comment below. How much money can I make from ClixSense? you can easily earn $3 – $15 by working on ClixSense for 1 – 7 hours daily. There are several ways to earn on ClixSense and it totally depends on you and how you are going to use those methods. As of now, I am earning about $20 – $25 every single day and $650+ every month. You can too earn as much as I do or even more by learning from this page. There are some members on ClixSense who even earn $60+ in a single day. Continue reading to learn how you can earn more from ClixSense. Do I need to Invest on ClixSense? There is nothing called investment on ClixSense because ClixSense is a GPT site and get-paid-to sites don’t require any investment at all. When ClixSense was a PTC site then there was an investment program which helped members to earn more but after July 2017, ClixSense become a complete GPT site and the investment program was completely turned off. So, no investment is required to earn money from ClixSense. What are the requirements to earn from ClixSense? ► What ever you earn online cannot be transferred to your bank account directly. Remember: In order to receive funds into your bank account you need to create an account on any of the above payment processors and link your bank account with it. Later, you will also be asked to verify your payment processor account by providing them with any of your Identity cards, such as Passport, PAN, Driving license etc..
You can join any or all of the above payment processors to receive money from ClixSense. It is very easy to join ClixSense, it takes less than 3 minutes, so go ahead. Step 2: Fill the details such as first & last names, email address and username(it can be anything) in the box provided on their homepage. See the below picture for reference. Step 3: Next, tick the checkbox and click on “Join Now” button. A verification email will be sent your email account and you need to verify your account by clicking on the provided link. Step 4: Congratulations! you are now registered on ClixSense. You can login to your account by using your username and password. How to start earning money from ClixSense? 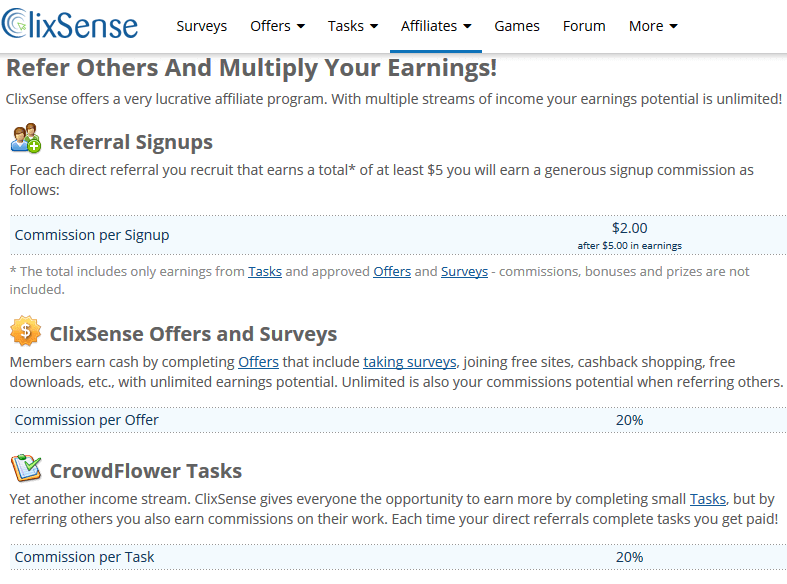 There are several ways to earn money from ClixSense, read below. You can earn money from ClixSense surveys, ClixSense offers, ClixSense Tasks, Affiliates and more. Each of the above methods are described below clearly, one by one. So, read and understand properly to start making money with ClixSense. The best method to earn money from ClixSense is ClixSense Tasks, continue reading to find it. Surveys: How to earn money from ClixSense Surveys? At ClixSense you will be simply paid for taking online surveys and you can take any number of surveys in a single day. Online surveys are questionnaires that target audience who are ready to give their feedback and interests about specific product or services. It means you will be paid just for giving your opinion about various product or services of different companies. Your opinion helps those companies to improve their product and services. 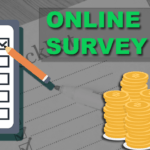 How to start earning from Surveys? Step 1: To start earning with Surveys you need to login to your account and click on surveys tab which will be displayed on top the left of your screen. Step 2: Now you will be able to see some surveys, but before you start taking online surveys, you need to complete your profile. You can do that by clicking on the “Surveys Profile” button on surveys page, as shown in the above image. Please fill only true details. Step 3: Next, check the amount and duration of a survey and then click on the survey which you want to take. A small option will appear with some details, there you need to click on the start button next, a new tab will be opened and there you need to fill some details about you. Step 4: After filling your details, if you are qualified then you will be taken to the original survey and there you should give your opinions about the listed product or services. Step 5: And after you have completed the survey, the amount will be credited to your account balance. Sometimes it may take few hours. The surveys with the red flag will take 30 days to get credited to your account balance. In case you have completed the survey but the amount is still not credited after the completion of given time then you can check your surveys history by clicking on “history & support” button as shown in the above image. On that page you will find all the information about the completed history, you can click on the survey which was not credited and then you can ask for help. Why there are fewer Surveys available for me? ClixSense surveys may not be available for everyone because surveys are mostly available in tier 1 countries so, if you reside in any of the below countries then there will be many surveys available for you. The other country members will have very less amount of surveys available. Tier 1 Countries: Australia, Austria, Belgium, Brazil, Canada, Chile, China, Denmark, Finland, France, Germany, Greece, Hong Kong, Ireland, Israel, Italy, Japan, Malaysia, Mexico, Netherlands, New Zealand, Norway, Poland, Portugal, Saudi Arabia, Singapore, South Africa, South Korea, Spain, Sweden, Switzerland, Thailand, United Arab Emirates, United Kingdom and United States. Note: You may not qualify for all of the surveys because different surveys are meant for different people with different age and other qualifications. For Example, People who are 25+ years old and have: own house, at least 2 children, a 4 wheeler car, Drinking habits, high monthly income, etc.. will have more number of surveys available. If you cannot earn from ClickSense Surveys then don’t worry because there are 3 more earning methods left. Continue reading. 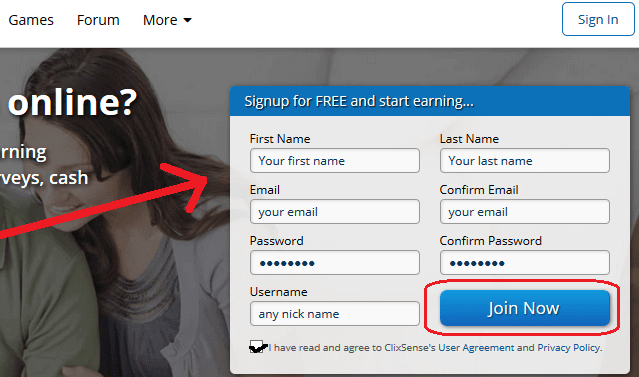 Offers: How to earn money from ClixSense Offers? For every offer you complete, you will earn a certain amount of ClixCents. Each ClixCent equals to $0.01 and 100 ClixCents equals $1. How to start earning from ClixSense Offers? Step 1: Login to your ClixSense account and move your cursor on “Offers” tab, as shown in the below image. Next, click on any of the options to view the available offers. 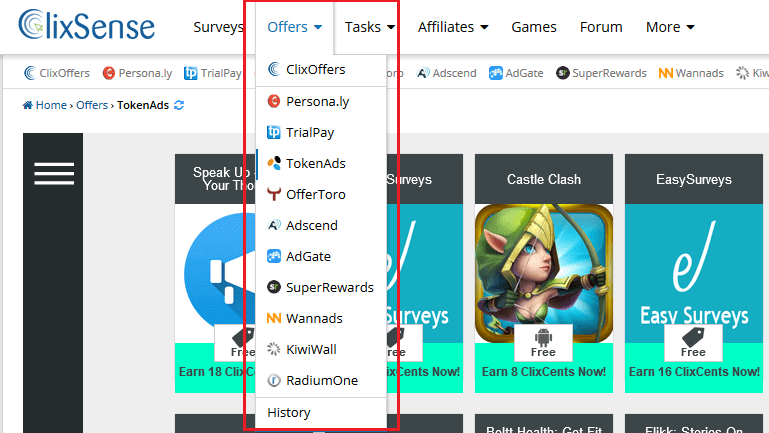 Step 2: Now you will be able to see some offers with the amount of ClixCents you can earn from a particular offer. Next, you need to click on the offer you want to complete and then you should read the instructions required to complete the offer. Step 3: Next, click on the continue button and complete the offer as it was described. The ClixCents will be credited to your account in few minutes or few hours. If you are finding it hard to earn from ClixSense Offers then don’t worry because you can earn from ClixSense Tasks as it is the best method to earn from ClixSense. Tasks: How to earn money from ClixSense Tasks? Of all earning methods, ClixSense tasks is the best way to earn money from ClixSense because you can earn a stable income by completing tasks every day. The more tasks you complete the more you will earn, there is no limit. In the beginning, you may find it difficult to understand but after you spend some time then you will become expert in Tasks. So, don’t give up so easily! How much can I make from ClixSense Tasks? The amount you earn by performing ClixSense tasks completely depends on how much time you are spending and what is the pay rate for each task. Some tasks are easy to complete, while others are tougher with same pay rate. You can easily earn $1 – $2.5 every hour. You will also get $5 every time after you make $50 from ClixSense tasks. ClickSense also runs the weekly contest and distributes $100 among top 10 members who have completed the more number of tasks in last 7 days. See the table of prize distribution below. look at the below image which shows the top performers of ClixSense CrowdFlower tasks over the last 24 hours, last 7 days, last 30 days and all time. As you can see from the above image, people are completing over 300 tasks every 24 hours so imagine how much they might be making. Each task gives them $0.01 – $0.10+ (on avg $0.05). How to start earning from ClixSense CrowdFlower tasks? Step 1: To start earning with ClixSense tasks, move your cursor on “Tasks” menu and select “Complete Tasks” option. 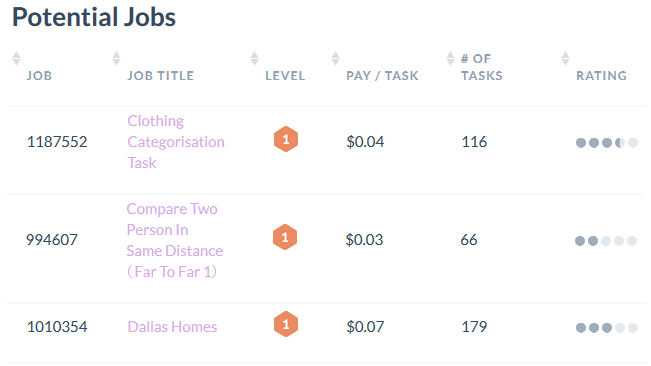 Now you will be able to see some tasks with their title, level, pay per task amount, number of tasks and user ratings. See the below image. If you see tasks then click on the task you want to complete, now you will see something like this. Read the displayed message and click on the next button, click next again and then click on “Get Started Now” button. Step 2: Now go to ClixSense task page again and click on the task you want to complete. You will again be taken to the CrowdFlower page. There you will find some instructions to complete the task, now read the instructions carefully because you need complete the “Quiz mode” first to start making money. For every new task there will be a Quiz Mode and to to qualify for Work mode, you need to complete Quiz mode by maintaining 70% accuracy. Read below to know about various modes and how they effect your work. There are 3 kinds of modes in ClixSense/CrowdFlower tasks which you will experience while performing tasks. Quiz mode: In this mode, you will be taken to (some 4 – 10) quiz questions and you need to answer at least 70% of the questions correctly to pass this mode. You will not earn any thing when you are in the Quiz mode because it is performed to check the ability of the user. Once you clear the quiz mode then you will be in “work mode“. Work mode: In work mode, you will be paid for completing tasks but in order to be in work mode you need to maintain 70%+ accuracy. Expel mode: If your accuracy is less than 70% then you will be expelled from the particular task but you don’t worry because you can take other tasks. Based on the accuracy there are different levels in CrowdFlower tasks. Read below. What are the different levels in CrowdFlower tasks? There are 4 levels in CrowdFlower tasks which are described below. The higher your level is the higher will be your earnings + you will get more number of tasks. Level 0: Initially your level will be 0 since you are a beginner. At this level, there will be very few tasks available. To increase your level you need to keep completing tasks while maintaining higher accuracy. Level 1: To reach to this level you need to have worked on 5 different tasks by answering at least 100 questions with 70% accuracy. Level 2: You need to complete more tasks while maintaining 80% accuracy to reach level 2.
last, Level 3: You need to complete more tasks while maintaining 85% accuracy to reach level 3. TIP: To get more number of tasks with higher pay rates, you need to increase your level to at least level 1. The more tasks you complete the easier it will become & more you will earn per each task. If you didn’t understand properly about the CrowdFlower tasks then don’t worry because once you start working then you will understand everything and it will become very easy. How to make money from ClixSense Affiliates? ClixSense Affiliates means you will be paid a certain amount of commission when a person referred by you earns money on ClixSense. Suppose you referred a friend who earned $50 from ClickSense Surveys, Offers or Tasks then you will get 20% commission, which is equal to $10. Also, when a person joins under you and makes $5 then you will receive $2 for free. The more number of referrals you have the more your earnings will be. Look at the below image to learn how ClixSense Affiliates Program work. 1: There is no limit on the amount you can from Affiliate Program. 2: There is no limit on how many members you can refer. 3: If you have referral then without doing anything you will earn up to 30% commission when they do any kind of task on ClixSense. How to refer people on ClixSense? Get most out of the referral program by referring as many people as you can because the more people you refer the more you will earn. 1: Word of the mouth is the best way to promote ClixSense so ask your friends who are seeking for extra pocket money to join ClixSense as your referral and start working. 2: Also suggest ClixSense to aged retired people and home based moms who are having lots of free time. 3: Share Your referral link with payment proofs on social media like Facebook, twitter, etc.. to get more and more referrals. 4: You can also create a blog to promote your Clixcence referral link. Where can I find my Affiliate/Referral link? You can find your referral link on your “Account Summary” page as shown in the below image. You can also find banners to promote your referral link: move your cursor on Affiliates and select banners option. Now you can copy that link and share it everywhere to get referrals. After your friends have joined ClixSense then ask them to refer this page to learn how to earn from ClixSense. 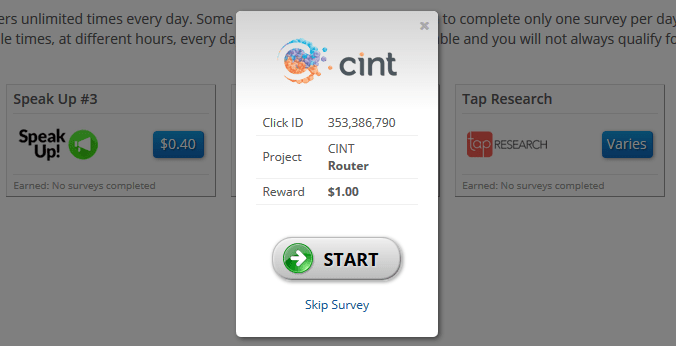 So, these were the 4 methods to earn money from ClickSense. However, you can also increase your earnings by being active daily and claiming your “Daily Checklist bonus“. For more info, read below. How to earn more money from ClixSense? To get most out of ClixSense I recommend you to visit ClixSense daily and work at least for 1 hour. I also recommend you to refer as many people as you can. There is another great program on ClickSense, called as “Daily Checklist Bonus” which pays up to extra 16% commission based on your daily activity. For example, suppose you have earned $5 today by performing surveys, offers & tasks and meet the requirements for Daily Checklist bonus then will earn up to $0.80 by claiming your bonus. c: A minimum of 5 CrowdFlower Tasks and at least 1 survey or offer from the survey and offer pages(except video offers)*. 2: You have to visit at least one page of ClixSense forum and run ClixAddon for at least 1 hour. ClixSense Review 2018: Is ClixSense a Scam or Legit? Below you will find the very accurate ClixSense Review. I have been with ClixSense for 4 years so, I know everything about it and how it works. ClixSense review is below. Absolutely Yes! – As I said above ClixSense is been paying since 2007 without missing even a single payment so it is 100% legit site. ClixSense Review is now complete. So, ClixSense is an awesome website to start earning money. To earn more money, follow the below Clixsense Tricks and tips. 1: Login to your account daily and see if there are new surveys available, if available then complete 1 – 2 surveys and move to next step. 2: Look into the offers and see if there are easy offers available. If you can find easy offers then complete 1 – 2 offers and move to next step. 3: This is the best method: Go to tasks and complete as many tasks are possible. The more tasks you complete the more you will earn. 4: Run ClixAdon while you are active on ClixSense and visit the ClixSense forum once. 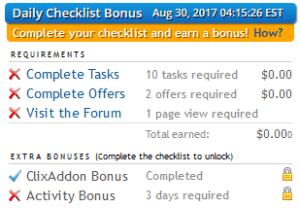 5: After you have completed the above steps then go to your Account Summary page and see if you qualify for the daily checklist bonus or not. If you follow the above ClixSense Tricks then you can earn more money daily. The best method to earn from ClixSense is Tasks so don’t neglect it. You can also increase your earning by referring people who seeking for online jobs. Note: The terms “ClixSense Tricks” and “ClixSense Hack” mean one and the same. Many people search/ask for ClixSense hack so I have written about it here. 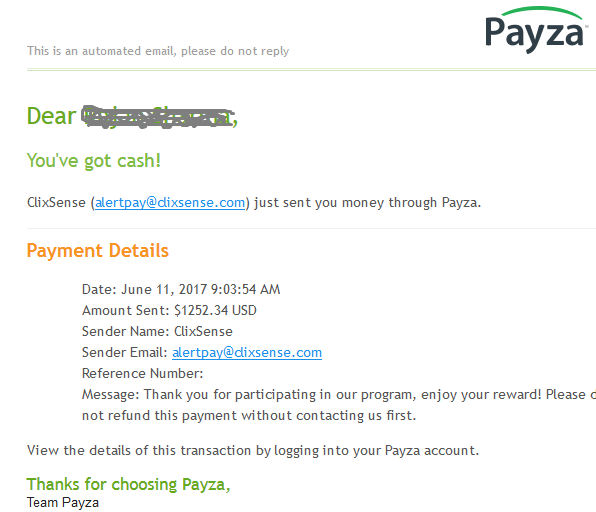 Check out my recent payment from ClixSense below. For the first two years, I didn’t make much from ClixSense because I was very busy and I was very new to the internet. The main reason for my huge earnings from ClixSence is my referrals. I didn’t work much on ClixSense but I promoted ClixSense a lot and made lots of referrals. The main source that I used to get referrals is my blog. You can too create a blog for your self and start earning from ClixSense by getting more referrals. click here to learn how to create a blog. If you are beginner then I don’t recommend you to go for a blog because blogging is very difficult. I recommend you to work with ClixSense and other money making methods for at least few months and then go for blogging. Below you will find some Frequently asked questions about ClixSense. If you can’t find the question that you are looking for then comment below. Is it free to join ClixSense? Can I work with ClixSense on Smart Phones? Yes, you can but smart phones have smaller screens and you may feel difficulties while accessing it so, I recommend you to work with ClixSense on PC or Laptop. What is the minimum age to join ClixSense? Which country members are accepted to join ClixSense? ClixSense is an international website and it is available for all of the countries. Can I create two accounts on ClixSense? No, ClixSense only allows one account per Device or IP address. If you create more than one account from same PC or same IP address(network) then both of your accounts will be suspended. Do I need to have any experience to earn money from ClixSense? No, you don’t need to have any experience to earn money from ClixSense. Just basic internet skills are required. What is the Minimum Payout on ClixSense? You can only withdraw your earning when you have $10 in your account balance. What are the Payment Processors available for ClixSense Payouts? ClixSense pays via Payoneer, Skrill, Tango Card, and Check(for US and Canada only). The fee structure and waiting days for payment is shown below. Note: Payza was removed by ClixSense. How can I withdraw my earnings from ClixSense? You will find the link to withdraw your earnings on your Account Summary page right to your account balance. The Cashout link will only appear when you reach the min payout for the selected payment processor. What is the amount of commission that I will receive from my referral earnings? You will receive 20% commission from your referral earnings when they perform Surveys, Tasks, or offers. ClixAddon is an add-on which is available for FireFox, Google Chrome, and Opera browsers. 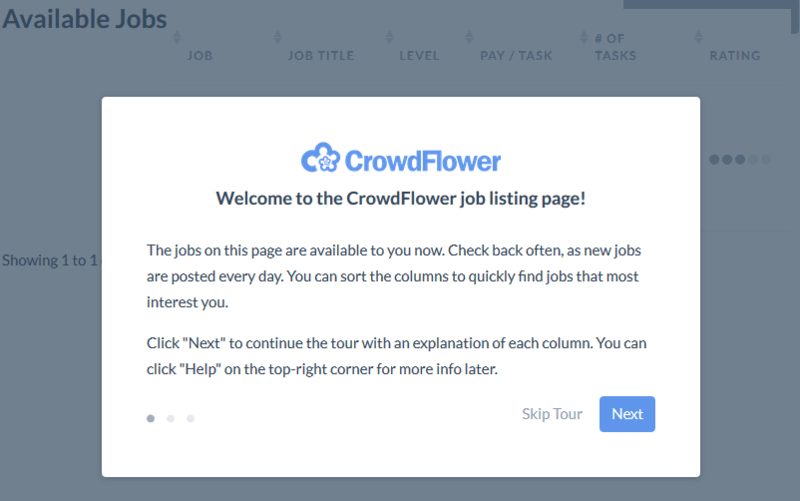 It will notify you when ever new surveys and CrowdFlower tasks are available. ClixSense is one of the best websites to earn money from the internet without any experience. So, please don’t ignore this website as it has been paying since 2007 and so far it has paid over 27 million dollars to its members. Of all, the best method to earn from ClixSense is CrowdFlower tasks because you can earn an unlimited amount of money in a single day. 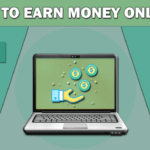 If you are looking for some other sites to earn then you should definitely look at these 10 best online money earning sites. You will not earn anything online until you take any action. Read my journey to online money making jobs. If you have any doubt about ClixSense then you are free to comment below. Thank you for this information sir. I joined ClixSense today and already made $1.93 by performing some clixsense tasks. Sir, I have one doubt. Can I refer a friend who uses another PC but he uses my wifi? I am glad that you made $1.93 on the first day itself. As I said in this post. Only one account per IP or Network is allowed. Since you are your friend are on same network, you can’t refer him. If your friend too wants to work on clixsense then ask him to connect to another internet connection. Pls, I am having issues with crowdflower on my neoubux acct. Its saying I should change my Facebook email to continue which I have buf its still saying same thing! Help! @ebube, When you are trying to access crowdflower you need to be logged in to your facebook account with same email address as crowdflower. I am completely new to PTC/GPT activities, joined clicksSense only last month. I earned $2.02 already. All my problems with surveys and offers are clearly discussed by you here, so THANKS. I tried with tasks, but I am getting nervous to proceed as I have no experience in this regard. Could you kindly provide screenshots of a few typical tasks at different stages of completion so that I could be better prepared before attempting tasks? I post this comment because your writing has renewed my hope about clicksSense tasks. I am glad that this post motivated you about ClixSense Tasks. I’m sorry! I cannot post the screehshots about how to complete a particular task on ClixSense because there are many kinds to tasks available and each of them are different. To qualify for a Task you need to read the instructions very carefully(if not read 2 – 3 times). Don’t worry if you don’t qualify for a task because more of them will keep coming. Once you start qualifying for Tasks, you will get experience, then it will become very easy for you to understand the new tasks. If your level increases to 1 then you will get tons to tasks. Good Luck! Salam please any one here tell me that how I can start earning on that website….please tell me all the details of it..I shall be very thankful to you. @Waheed, All the details on how to earn from ClixSense is already explained above. In short, you can earn from ClixSense by taking surveys, by completing offers and Tasks.